Custom designed sites for the online coaching presence of your dreams. The clients you ADORE are waiting for you. They just need to know you’re the right one for them. In a sea of coaches doing what you do, the design is THE way to capture their hearts as soon as they lay eyes on your site. The design is how you communicate who you are within the famed 3-second window you have to capture their attention when they land on the page. Because it’s your visuals that help them decide to stay on your page. Your brand. Your colors. Your presentation of the representation of who you are gives them a look into you that cannot be expressed in words. Eyes are the window to the soul. And your website is the door to their hearts. That’s why your coaching business needs the edge and the elegance of a bespoke design that calls to your perfect clients, that beckons them, not just to stay, but to linger and wander around...to dig deeper. And to find what you have to offer them. A bespoke design by Kylie is rooted firmly in, not only the things that represent you but in the things that create a customer experience that feels like home. That’s why bespoke designs start with strategy. Strategy is what creates a cozy, well-run space that your users want to curl up in and hang around. Strategy is the unspoken part of you that they feel without seeing. "Kylie, you seriously worked your magic here!!! I'm so proud that this is now my website. I finally feel like it represents the colorful and perfect imperfections of me Working with you, was just what I needed. Having such a gorgeous website also gave me a huge confidence boost. Somehow the universe knew that now I'm ready to conquer the world as a Health Coach, I got my first couple of clients, right after we finished the website." Getting clients and making an IMPACT on their lives. If you struggle to get clients, your business is not what it could be. And putting up a site that erases their doubt about you makes it easier for them to say “YES! YES! YES!” it means when Mary Beth, on the other side of the country, who has never heard of you, lands on your site, she’s immediately smitten. It means you become not just a coach by referrals, but through COLD LEADS, opening up your business to thousands more in revenue potential. Opting for a bespoke design, you display a design that, not only fully and unapologetically represents who you are, it lures them in, it calls to them in ways that leave them drooling over you, no matter how they found you. Because your clients deserve to know the depths of what you bring to their lives, so you can open up to the possibility of helping even more people who NEED what you offer. Doing it on your own didn’t cut it. That’s where YOU get to come alive in your business, help more, and show prospects exactly what you’re about. It’s where every nook and cranny of who you are is put into your “home” on the web. As a coach, you create your surroundings with care. Because you know how much they matter to your peace of mind and soul. Create your site with that same care. Give your site visitors the full experience of who you are before they even talk to you. So they can decide “YES!” before getting on the phone with you. Higher conversions via freebie/opt-ins, lead magnets, programs etc and copy that says who you are in a way that gets clients in the door. Yes, a bespoke design means that you are not getting just the site, but the COPY penned by an experienced copywriter, as well. You get a fully customizable high-end theme with three plugins that would cost $800 a year to manage - for FREE. A site that will distinguish you from all the other coaches in your niche, making them envious of your online presence. An easy-to-use backend that even the most non-techy coach can effortlessly maneuver so you can upload blogs and content without breaking a sweat. I’m Kylie and I’ve been a designer for coaches like you for years. High-end design is in my blood. And I bring everything I know about the visual art and the science of web design to a space where others slap colors and fonts together and hope they work so that you feel deeply empowered by the space we build for you. 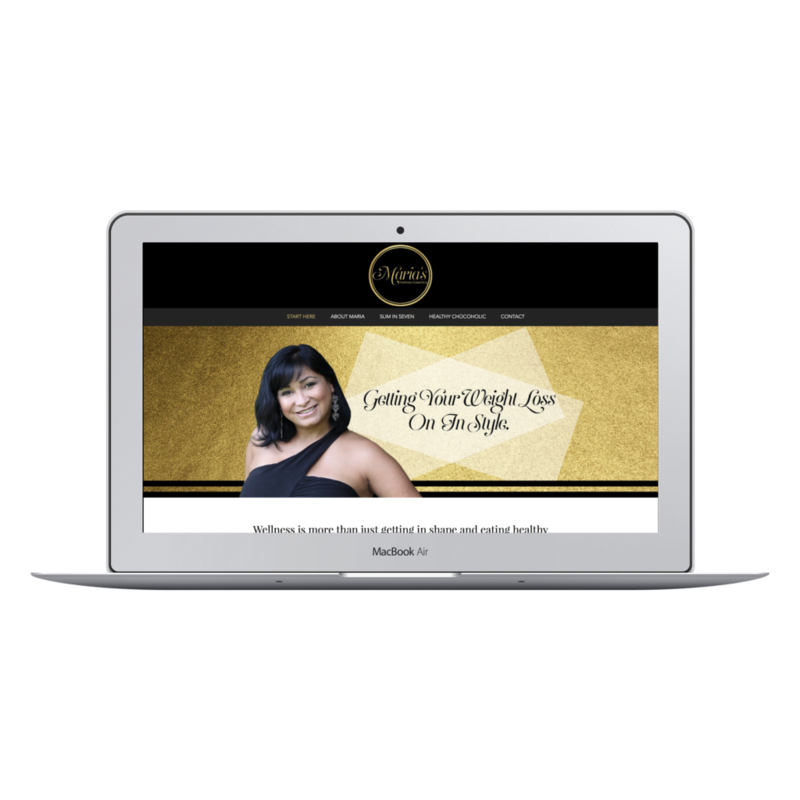 Because I create a one-of-a-kind foundation for you that reflects your deepest, truest self for the clients you want to attract and to help you create an experience that makes them LOVE you. Design is the art and the heart of your site. It’s a place where you come to life for the ones you love working with most. And it’s something that I take very seriously. 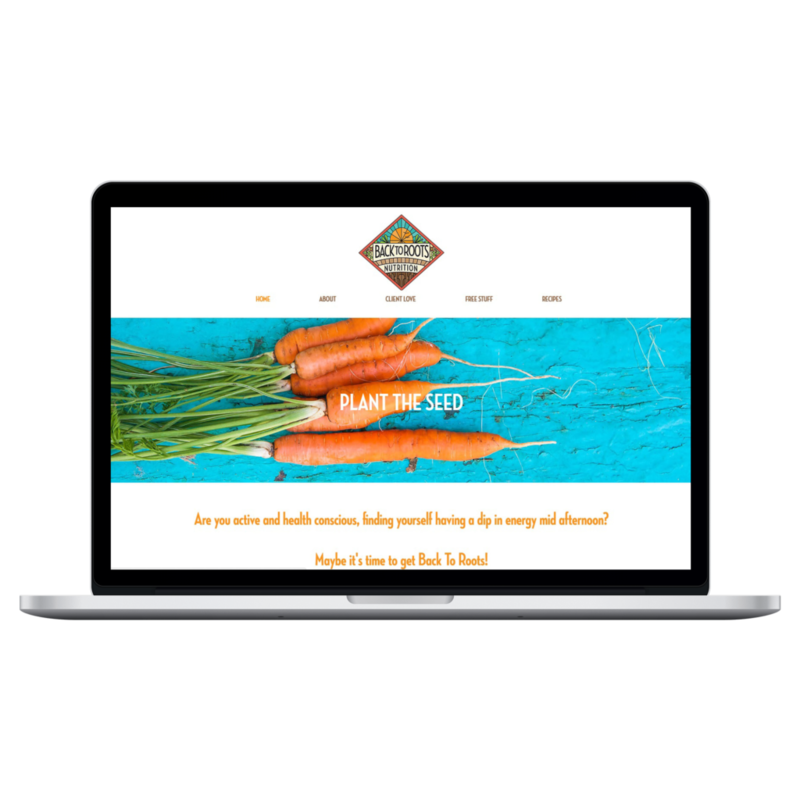 "My website was redesigned by the amazing Kylie Malcolm and I am in awe! She is THE BEST! Working with her was easy and so rewarding! She has made my dream come true and I am SO THANKFUL I have found her after years of bumping into the wrong people! She is so inspiring and loving. Her work ethics surpassed my expectations and her joy for doing what she loves inspired me, even more, to do what I love! I would choose her again and again! She is MAGIC! Kylie Malcolm thank you for ALL your hard work in making this happen! You are THE BOMB!" And it’s only good for those who choose the longer, harder road to success, but it can never replace the nuances that come from having a deeply knowledgeable designer by your side. Because unless you are a designer, there are things that others don’t think about when it comes to the user experience or the back end of your site. Those things are part of a whole that creates an elegant, grown-up, lush space that makes your bespoke site flawless for your prospects. And that’s how you make an impression so deep, they can’t forget you...nor do they want to. But let’s talk about the nitty gritty for a second. Because a Kylie Malcolm bespoke design is rooted in you, your dreams of success for yourself AND for your clients. Make them LUST after you when you create a space that is so completely you. Because following lust is trust. And it all starts with a site and copy that fully and truly represent who you are as a coach and the deep impact you’re here to make on your potential clients’ lives. For coaches and mentors who are seriously ready to rock their online persona. ready to make your old website jealous? "It was such a big task, I gave Kylie a messed up, full to the brim totally un-workable site that had years of "junk" on it and said, "clean it up". And boy did she ever. It is so easy to use and throughout every step of the way she took the time to really think about how the site would be received by my consumer, suggesting things to do and ways to improve their experience. Kylie is not only a design gem but super knowledgeable about sales and digital user experience". What is the copywriting package? With the Bespoke Package, we give you access to an intuitive copywriter who'll craft up your message (not included in Bespoke Basic package). A deep-dive 90-minute phone interview with Kristina to talk through your message so that she can write an effective and compelling copy for you. She will research your target audience and conduct competitor research so that you can breathe easy with content that will sell. A total of 5 key pages of content copy written for you that can include home page, about page, work with me page and one additional sales page for your signature offering. Direct access to our copywriter to work on the copy while we work on the branding, logo and design aspects. All copywriting services include worksheets/exercises, first drafts, two rounds of revisions and a final proofread. Finally, have a business that reflects who you are! The average time we work together is around 3-6 months. Some clients need a little more hand holding along the way taking longer than anticipated, some clients are laser focused on what they want and need making it a shorter time frame. The process really depends on you and how quick we can get your branding together, products and programs up and running and content together. The package includes some "down time". This means we might have a small window break between website launch and a product/program setup so you can focus on marketing your business and getting your list built or clients in the door before we start working on the next pieces. Each client setup is completely different because no two businesses are the same. Some clients may take up 8 months of time but there might be 2 months of "down time" on our side while you get some marketing in place. Honestly, it varies! The below doesn't apply to the BESPOKE BASIC. Here is a list of what we can do for your bespoke package to pick and choose what works for you. Keep in mind, this is in no way a definitive list as each business is unique and setup is very different. We try and fit as much as we can within the price you pay as our pricing is based on time. As you can see, we can do a lot but it depends on what you need. We have a range of different ebooks and guides that I have personally written for coaches. These vary in topics such as general health, niche health, business strategy, fitness, gut health and more! You get to choose 3 of these to use in your business from Content Club. Have your own? That's fine! We have many coaches who bring their own ebooks or other done-for-you products. We will rebrand them for you so they match your beautiful new brand and set them up for you. Oh, and you can mix and match. Pick one of ours and bring 2 of your own or any variation of 3 in total. Easy! If you have more you want set up, we'll charge you a small fee to add those on. Do we have calls and contact often? Absolutely. We do a phone call initially that runs for 1-2 hours then after that once every 2-4 weeks. Initial phone call for 1-2 hours to talk about strategy, design, ideal clients and your ideal business. What support do you offer after we finish? You will get 3 months of support! So if you need help with changing content, fixing up a page you may have made a mistake on or general guidance on what to do and how to do it, we are there for you! Need help linking something to your site? We are there for you. You will also get a private 1:1 video recording of how to use, edit and maintain your website and business setup to refer back to at anytime. Kylie will do this personally with you so that you are empowered to maintain your site if you need to. On top of that, you have access to video tutorials on how to maintain, edit and update your site. We are always here if you need us though! All our prices are in USD. We do not accept other currencies, unfortunately. so that you can make progress today! Simply book in a 15-30 minute website chat with Kylie (bottom of page) to talk about your website aspirations and coaching business ideas. Don't need a chat? Jump to step 2 below! All you need to do is click the BUY NOW button on the package you want and you get immediate access to the onboarding process with videos, workbooks and tutorials. 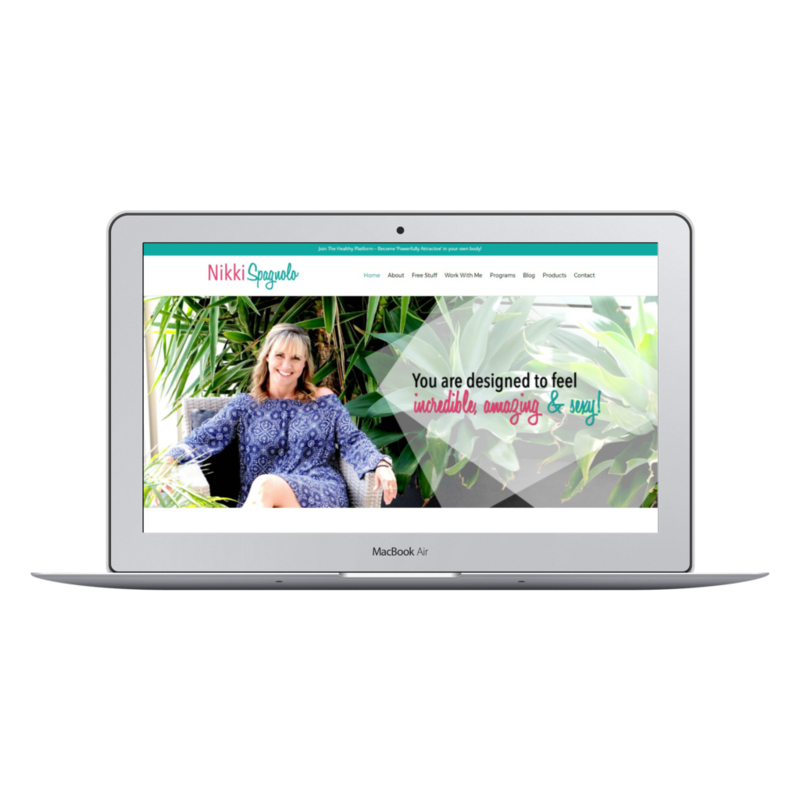 You begin filling out or workbooks and submitting them, then when you have enough completed, you schedule in your first 90-minute session with Kylie to go through designs, ideas, branding and building the ideal coaching business online. After your first draft of copywriting is complete we work on your website design and go back and forth to ensure you have a web presence that echo's your coaching dreams and wins your ideal clients' hearts! your time is now to shine online!